Legislative Fix on Horizon for Madden Uncertainty? We reported in our July 2016 Maryland Legal Alert that the United States Supreme Court had declined to review the decision of the U.S. Court of Appeals for the Second Circuit in Madden v. Midland Funding, LLC. The Madden decision sowed uncertainty and confusion among debt buying and bank-partnership model lending businesses, because of its holding that the purchaser of debt from a national bank (charged-off debt in the case of Madden) was not a beneficiary of the preemptive interest rate authority of the lender, a national bank, under Section 85 of the National Bank Act. Even though the loan was valid when made, a purchaser of the debt, unlike a national bank, could be subject to usury limitations under state law. On February 14, 2018, the United States House of Representatives passed H.R. 3299 (entitled the “Protecting Consumers’ Access to Credit Act of 2017”) in an effort to legislatively overturn the Second Circuit’s Madden decision and provide certainty concerning the “valid when made” interest rate doctrine. It is unclear whether H.R. 3299 will become law. If you have any questions about this topic, please contact Christopher Rahl. The United States District Court for the Eastern District of Virginia recently handed a federal credit union a victory in a claim brought by a Virginia resident under the Americans with Disabilities Act (ADA). The plaintiff is permanently blind and claimed that the credit union’s website was inaccessible to persons who were sight impaired. The plaintiff’s complaint did not allege that the plaintiff was a member of the credit union or that the plaintiff had any intention of becoming a member of the credit union. The credit union’s membership criteria are such that only employees or former employees of a specified federal employer can become members (the plaintiff was not an eligible employee or former employee at the time of filing of the complaint). The credit union prevailed on a motion to dismiss based on the plaintiff’s lack of standing. The court held that, because the plaintiff was not a member and could not qualify to become a member of the credit union, the plaintiff lacked standing to pursue an ADA claim related to the functionality of the credit union’s website. For assistance with ADA website claims, please contact Christopher Rahl or Marjorie Corwin. The federal Fair Debt Collection Practices Act (FDCPA), among other things, bans all false, deceptive, misleading, and unconscionable debt collection practices by debt collectors, including any false representations concerning the “character, amount, or legal status” of a debt. Borrowers often assert FDCPA claims in connection with “out of stat” debts (debts for which the appropriate state statute of limitations period has expired). 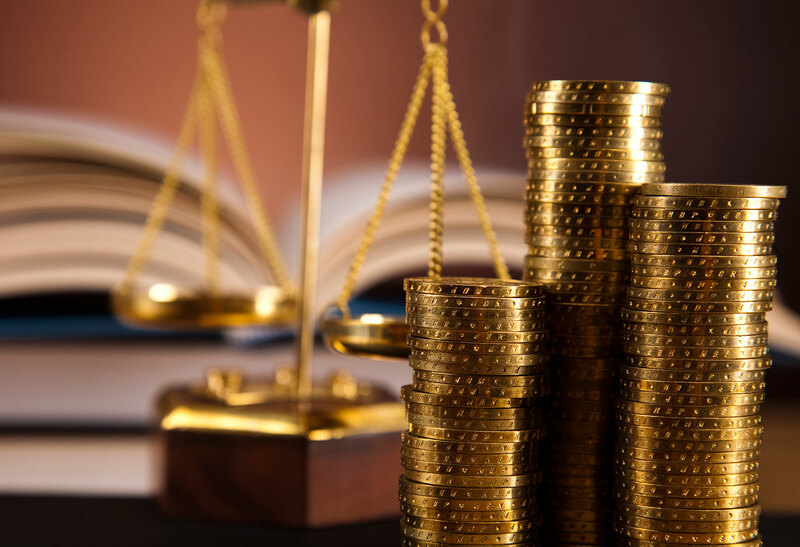 These claims sometimes arise where a collection letter suggests “settlement” of the debt or repayment of less than the amount owed, because of the alleged implication that the underlying debt is valid and enforceable and that litigation could be pursued. The primary cases in this area are in the Third and Eighth Circuits (finding no FDCPA violations) and the Fifth, Sixth, and Seventh Circuits (finding FDCPA violations). Decisions from the Third and Eighth Circuits (see our March 2015 Maryland Legal Alert for more details) held that collection letters could seek “voluntary repayment” of a debt that would be legally unenforceable in a state court action (based on a statute of limitations defense), because even unsophisticated consumers would not understand the letters as a threat to sue on the underlying debts. The Fifth, Sixth, and Seventh Circuits have come to opposite conclusions, finding FDCPA violations because collection letters that reference “settlement” offers could be viewed by unsophisticated consumers as threatening litigation. The United States Court of Appeals for the Third Circuit recently shifted to the view in the Fifth, Sixth, and Seventh Circuits and held that a collection letter that used the term “settlement offer” could mislead unsophisticated consumers into believing that the underlying debt was legally enforceable and that litigation could be pursued. The Third Circuit put much emphasis on the common dictionary definitions of the term “settlement” and noted that it was strongly linked to the conclusion and/or avoidance of litigation. This recent Third Circuit decision serves as a reminder to debt buyers and others subject to the FDCPA to avoid use of the term “settlement” or similar terms in collection letters. For more information concerning this topic, please contact Christopher Rahl. Although real estate lenders are generally shielded from liability for environmental contamination on properties in their portfolios, lenders could inadvertently lose those protections and assume unnecessary environmental risk if they are not careful. Lenders can minimize their risks associated with contaminated properties by exercising caution in conducting their due diligence, drafting loan documents, and managing properties serving as loan collateral. Our recent article describes the legal bases of liability for environmental contamination and statutory protections from liability for lenders, and provides some practical suggestions for minimizing the risks associated with loans secured by environmentally-challenged properties. For questions concerning this topic, please contact Margaret Witherup. On February 16, 2018, the Maryland Commissioner of Financial Regulation published an Advisory Notice to clarify how the Commissioner’s office is enforcing the Maryland law that severely limits a mortgage loan broker’s compensation for assisting with a refinancing within 24 months of the immediately preceding loan. Specifically, Maryland’s law provides: “A mortgage broker obtaining a mortgage loan with respect to the same property more than once in a 24-month period may charge a finder’s fee only on so much of the loan as in excess of the initial loan.” For more than 30 years, based on clear legislative history, the Commissioner’s office enforced this rule based on the understanding that it was not impacted by lender-paid broker compensation. However, based on this recent Advisory Notice, the Commissioner’s office has announced a change in this long standing position by outlining an analysis of what constitutes “finder’s fee” for Maryland’s mortgage broker law. All persons brokering residential mortgage loans secured by Maryland property should review this Advisory Notice. For questions concerning this topic, please contact Marjorie Corwin. Most deeds of trust include provisions that make the contractual rights and obligations of the parties subject to the requirements of applicable law, whether that law is federal or state law, statute, regulation or administrative order. The Fourth Circuit will be considering whether these common provisions mean that a lender can be held liable for causes of action related to the breach of the "applicable law" provisions of their mortgage documents when that law changes after the loan documents are executed by the parties. Applying Virginia law, the United States District Court for the Western District of Virginia issued an opinion holding that parties to a deed of trust executed in 2006 could not have intended to include in their "applicable law" provision a 2011 consent order involving the lender related to loss mitigation. In this decision, the court noted that the decision could have been different if the deed of trust was not signed a full five years prior to the consent order or if the "applicable law" section in the deed of trust expressly incorporated “future changes in the law.” The borrower has appealed this decision to the Fourth Circuit and we will monitor the disposition of this case. Please contact Robert Gaumont for more information related to this topic. A Maryland law enacted in 2016, the Contraceptive Equity Act (Act), prohibits health insurance plans from applying a deductible to male sterilization. The Act, which became effective on January 1, 2018, has jeopardized the tax-advantaged status of health savings accounts (HSAs), impacting all Maryland employers sponsoring (and individuals participating in) high-deductible health plans (HDHPs) with HSAs. HSAs are tax-advantaged savings vehicles used in connection with HDHPs that allow individuals to save money for defraying out-of-pocket medical expenses. Subject to certain annual limits, employers can make tax-deductible contributions to employees’ HSAs, and employees can make pretax contributions to their HSAs. HDHPs are required under the Internal Revenue Code to have minimum annual deductibles (e.g., $1,350 for individual coverage in 2018). To be eligible for an HSA, an individual generally cannot have coverage other than an HDHP. If an HDHP violates the minimum annual deductible requirement, it would fail to be an HDHP, and eligibility would be lost for its related HSA. An exception to the minimum deductible requirement allows HDHPs to cover “preventive care” with no deductible. The IRS has issued a safe harbor definition of preventive care. However, this definition does not include male sterilization. Therefore, the Maryland Act could cause HDHPs to violate the minimum deductible requirement, which would cause their related HSAs to lose tax-advantaged status – that is, employers would lose deductions for contributions to HSAs, and employees would be unable to make pretax contributions. The Maryland Senate passed SB 137 on February 27, 2018 by a vote of 46-0, which amends the Act to exempt HDHPs from the prohibition on applying deductibles to male sterilization. The Maryland Bankers Association was part of a coalition providing testimony before the Senate Finance Committee in support of SB 137. The companion House Bill (HB 135) has not been voted on yet but received a favorable report on March 6, 2018. If the HDHP exemption is signed into law, additional guidance from the IRS would be welcome regarding HSA contributions made after January 1, 2018 but before the exemption’s enactment. For more information about HDHPs or HSAs, please contact Chase Tweel.